[CULTURE] What Way Did You Choose for Sharing Your Warm Heart? 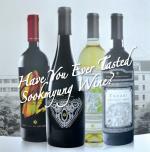 [CULTURE] Have You Ever Tasted Sookmyung Wine? [CULTURE] Are You Really an Adult? [CULTURE] You Eat, I Enjoy! [CULTURE] Is Good Child the Answer in Korean Society? [CULTURE] What is Your Name? [CULTURE] Must Have " I "